Tobias Uller (Lund University) and I would like to introduce a novel research program involving 8 universities and 50 researchers, entitled, Putting the Extended Evolutionary Synthesis to the test. We are excited to announce the beginning of the project and the launch of our website and social media package. The Extended Evolutionary Synthesis (EES) is a new way to think about and understand evolution. It builds upon traditional evolutionary explanations by recognizing a broader set of causes. Understanding how organisms develop, grow, and interact with their environment is central to the EES, and may help us to account for the diversity of life and the process of adaptation. We are particularly interested in the idea that the way organisms develop shapes the direction and rate of their evolution, and that inheritance occurs not just through the transmission of genes, but through many additional means including the developmental conditions that parents construct for their offspring. The EES emphasizes the importance of topics such as developmental bias and constraint, developmental plasticity, inclusive inheritance and niche construction and their role in driving the evolutionary process. To learn more about the EES, read our paper, see our website or watch this video. Our research program consists of 22 research projects based at universities in Great Britain, the USA, and Sweden. It is funded by a John Templeton Foundation grant and institutional contributions to salaries and studentships. The guiding principles for the 22 projects are to identify conceptual differences between traditional and alternative interpretations of the evolutionary process. This enables us to develop theory that fills the gaps in contemporary understanding, and to devise key projects that provide critical tests of points of contention. We are also developing new methodologies and research avenues motivated by the extended evolutionary synthesis. The research is organised into four themes: conceptual issues, evolutionary innovations, inclusive inheritance, and directional biases in evolution. We have multiple projects under each theme, designed to test novel hypotheses, conduct critical experiments necessary to evaluate them, and generate new theoretical predictions. Our website and this video describe the project in greater detail. Our objective is to provide a service to evolutionary biology and neighboring fields with helpful notifications and high-quality articles about the newest developments. We concentrate on topics central to the Extended Evolutionary Synthesis, those with potentially important implications for the explanatory structure of evolutionary biology: evo-devo, eco-devo, developmental bias and plasticity, expanded views of inheritance, niche construction, and philosophy of biology. To learn more, read this blog post or follow us on Twitter. If you are doing complementary research, or would be interested in getting involved in our discussions, symposia, workshops and conferences, please do get in touch. 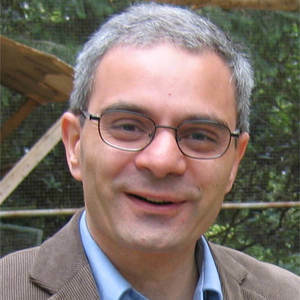 Kevin Laland is Professor of Behavioural and Evolutionary Biology at the University of St Andrews, where he is a member of the Centre for Biological Diversity, the Centre for Social learning and Cognitive Evolution, the Institute for Behavioural and Neural Sciences, and the Scottish Primate Research Group. After completing his PhD at University College London, Laland held a Human Frontier Science Programme fellowship at UC Berkeley, followed by BBSRC and Royal Society University Research fellowships at the University of Cambridge, before moving to St Andrews in 2002. He has published over 200 scientific articles and 10 books on a wide range of topics related to animal behaviour and evolution, particularly social learning, cultural evolution and niche construction. He is an elected Fellow of the Royal Society of Edinburgh, a Fellow of the Society of Biology, and the recipient of both an ERC Advanced Grant and a Royal Society Wolfson Research Merit Award.